Get up to 65% off with this week's deals. Laptop Computers. Orchestrated by CDW. In the past, using a laptop meant giving up some of the functionality found in a desktop computer, but that is no longer the case. Whether you're a fan of Mac's iOS operating system or Windows PCs, we have a laptop for you. The ability to work from anywhere is one of the most attractive features of a laptop. Models such as the Panasonic Toughbook are designed to hold up through travel and mobile computing. Ultrabooks are lightweight and deliver both computing power and functionality for wherever you roam. Not only are notebooks often a very affordable option, but models such as Chromebooks let you take advantage of cloud computing, share information through apps such as Google Docs and utilize apps from the Google Play Store. We carry major laptop brands such as HP, Lenovo, and Dell. We are also an authorized reseller of Apple MacBooks so you can buy with confidence. 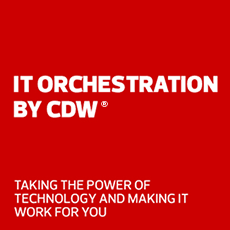 Speak with a CDW expert for additional assistance.